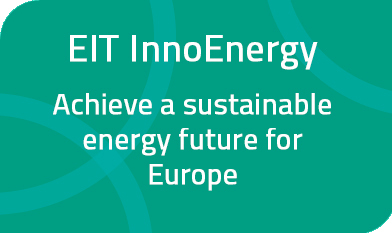 EIT InnoEnergy looks for new products, new solutions and new services to support and develop in the sustainable energy sector. Innovation is a unique process, and EIT InnoEnergy is keenly aware that taking the spark of an idea and turning it into a successful and marketable product can be a long and complex journey, where technical expertise, commercial awareness and access to a variety of skills and resources are critical. Here you will find a brief description of all the innovation projects EIT InnoEnergy is managing in each of its thematic areas. These will give you insights into the market needs they address, their final product or service and the consortia involved in each technological development. EIT InnoEnergy's investment round is open to applications all year round, offering investment and support for innovation projects. If you are looking for a partner to help you bring your innovations in the energy field to market, then this is the ideal offer for you. 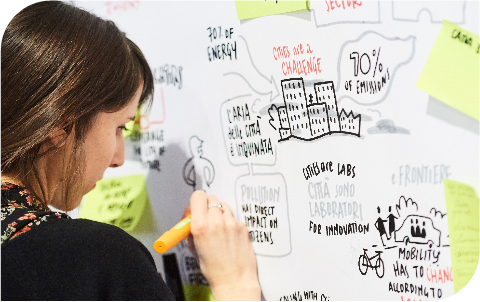 EIT InnoEnergy supports innovation projects and businesses with a proven concept that is related to one of their six thematic fields that they believe can help change the future of the energy industry. EIT InnoEnergy encourages innovation in waste conversion technologies, flexible power systems, carbon capture and storage, and unconventional gas and oil extraction. Check out the innovation projects and start-ups in this field. Biogenic and synthetic fuels, derived from biomass, waste or even excess electricity, can provide both stability and storage capability alongside more conventional fuels. Check out the innovation projects and start-ups in this field. Energy Storage: Energy storage has an important role in future energy systems as it is a vital component in the development of smart grids, smart cities and smart buildings. Check out the innovation projects and start-ups in this field. Smart Electric Grid: The electricity grid is showing its age. Check out the innovation projects and start-ups in this field. Energy efficiency: Energy efficiency is the most cost-effective way to reduce emissions, improve energy security, make energy consumption more affordable, and enhance competitiveness. Check out the innovation projects and start-ups in this field. Smart buildings and cities: The built environment accounts for 40 per cent of the world’s energy consumption. Creating smart buildings and cities is therefore crucial to sustainable development. Check out the innovation projects and start-ups in this field. Renewable energy plays an essential role in reducing dependence on fossil fuels, increasing energy security for Europe, and decreasing greenhouse gas emissions. Check out the innovation projects and start-ups in this field. Nuclear power remains an important part of a sustainable energy mix, with 60 nuclear reactors under construction around the world. Check out the innovation projects in this field.